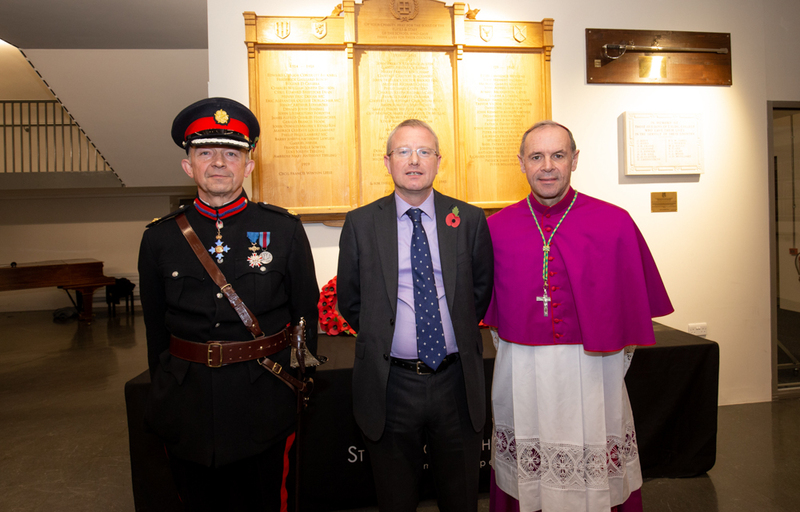 The new memorial was unveiled by the Deputy Lieutenant of Ealing, Richard Kornicki OBE, DL, and blessed by the Bishop of the Armed Forces, the Right Reverend Paul Mason. 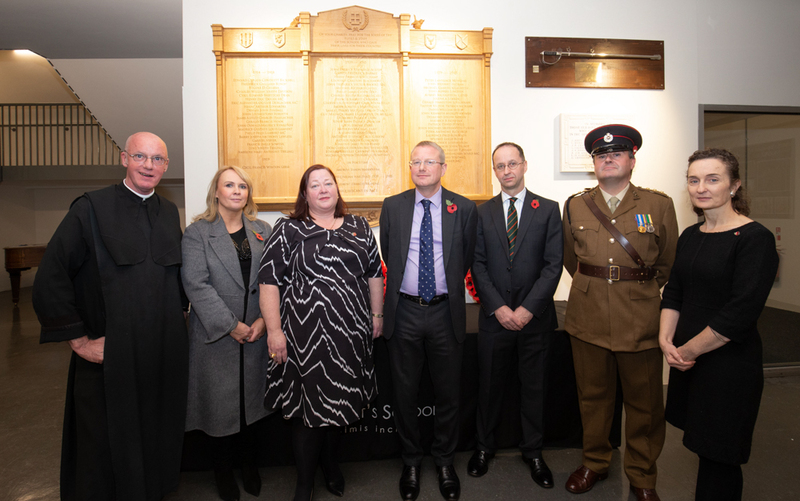 The ceremony was attended by many alumni, current parents, staff and pupils, and began with a guard of honour provided by St Benedict’s School CCF. 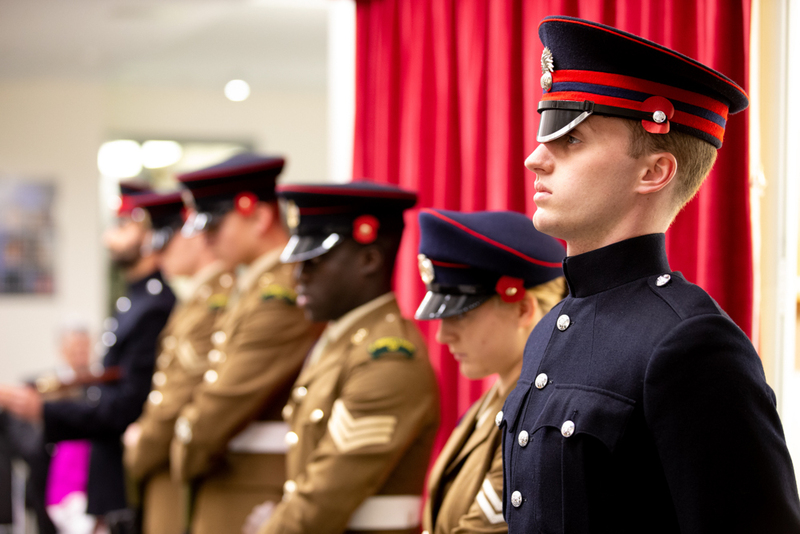 The Last Post was played by Benedict King (Upper 6th). 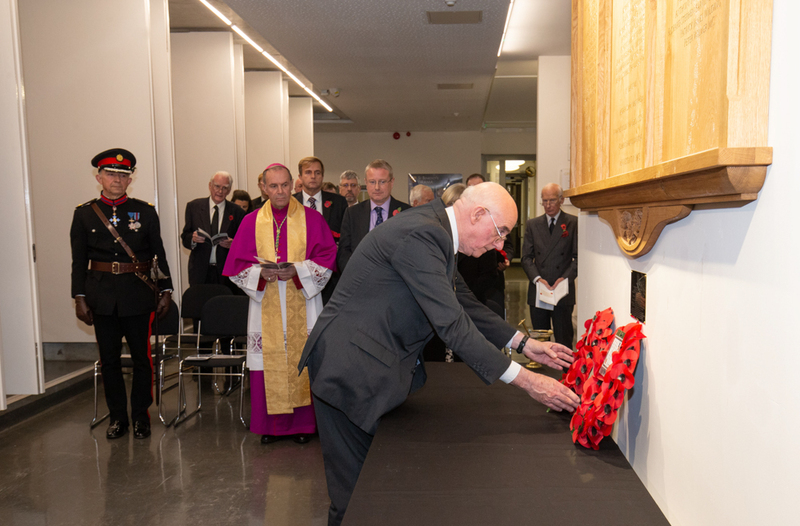 St Benedict’s first memorial had been destroyed when a bomb hit the Abbey in the Second World War. 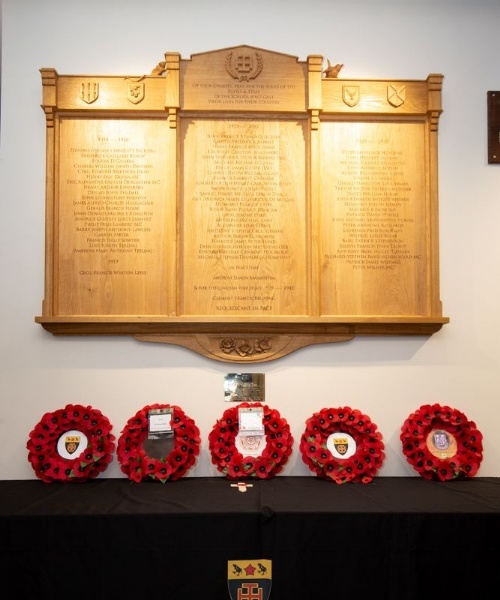 Its replacement, crafted in the late 1940s, needed updating as further information about the war dead had come to light. 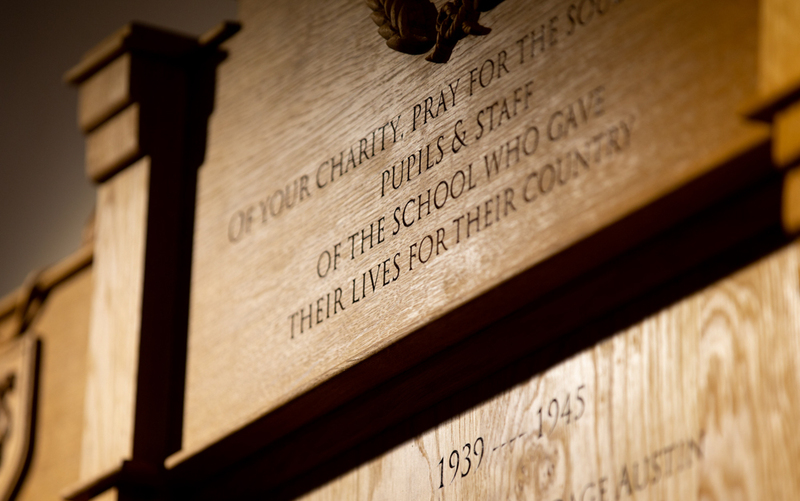 The new memorial, hand-crafted by Luke Chapman, has been placed in the heart of the school, to remind generations of St Benedict’s pupils of the sacrifice of their predecessors. 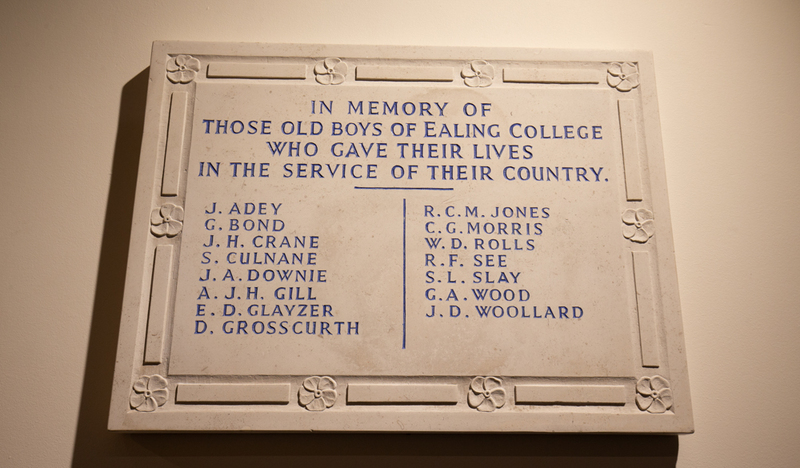 St Benedict’s is also providing a permanent home for the Ealing College war memorial, which had to be removed from its original site when the school closed in 2012. 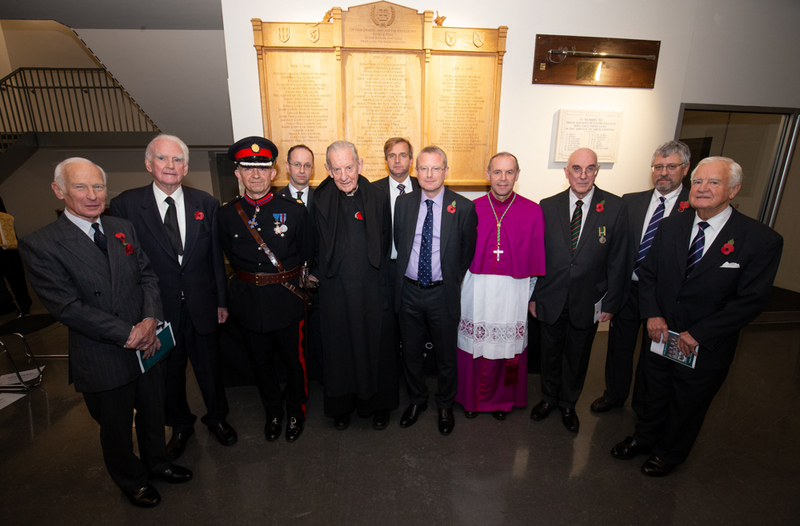 We were delighted to welcome the Chairman and Deputy Chairman of Ealing College’s alumni association, the Ecobians, to the ceremony.